Solo piano explorations of the music of Eric Dolphy. Each track is a complete unedited first take. …this is as good a recording (and recoding) of jazz piano playing as you might hope to hear this year, alive to so much of the tradition. 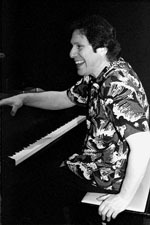 He’s a fine pianist, a luminous free player who can weave densely rhythmic improvisations that can even suggest a third hand, developing multiple motifs simultaneously. Futterman freights the elegant slow blues of “Serene” (as elegant as “Mood Indigo” or “Goodbye Pork Pie Hat”) with touches of the deepest tradition—piano blues as deep as Jelly Roll, Leroy Carr, Otis Spann, and Sonny Clark. There’s an element of Boogie-Woogie and a healthy dose of stride on the more up-tempo numbers. Futterman has an ability to put together unlikely elements in his work, too, fusing them into his own style…what you get here is a warmly kinetic treatment of Dolphy’s essential themes…“In the Blues” and “17 West” get stretched to a wonderful degree. The Futterman CD is heated, dense, and mercurial,...(a) work of memory, reflection and trance. …deeply personal — a profound testimony to the depth of Dolphy’s meanings and the special relationships made with that work. (it) becomes part of the living tissue of Dolphy’s music. It's no surprise that Futterman and Dolphy have things in common; the compositions allow for wide interval leaps and a sense of freedom that springs from a very open approach to chord changes – this is music of possibility. Futterman captures the contrast between airy, birdlike vocalizing and slippery low end, building it into blocky interdependence and internal ricochet, phrases extrapolating from one another in rapid succession. Futterman's stream-of-consciousness approach mates perfectly with these tunes and their allowance for near-independence. 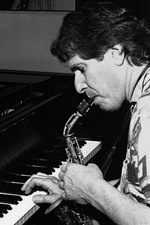 Futterman's improvisations always preserve these tunes' extraordinary sense of motion. Although Eric Dolphy was well known for his collaborations with Charles Mingus, John Coltrane & Ornette Coleman, he was also a gifted composer with just a handful of albums as a leader before his untimely death in 1964. 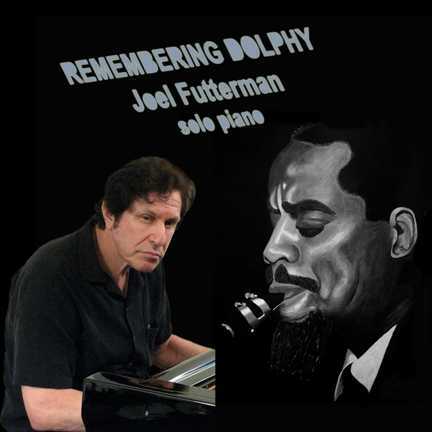 The great Chicago pianist Joel Futterman, now living in Virginia, and most often known for his work with Kidd Jordan, has just released an impressive tribute to Eric Dolphy. Futterman performs a half dozen of Dolphy's better known songs as well as "Fire Waltz" by Mal Waldron which was covered by Dolphy on one of his 'Live at the Five Spot' albums. Playing the pieces relatively straight forward, Mr. Futterman stretches each of these out, exploring the songs and extrapolating at length. Futterman usually states the theme at the beginning and ending of each piece before he takes off with those explosive runs, zigzagging and reaching higher as his lines weave layer upon layer. Futterman seems to have a few different dialogues going on simultaneously at the piano. It takes some serious close listening to hear all of the different ideas that emerge from his lightning speed runs and interconnected lines. For Dolphy's ballad, "Serene" Joel plays the theme delicately before stretching out and slowing down the fireworks to a more relaxed level. One of the things that made Eric Dolphy so amazing and distinctive was his tone and unique way of playing his lines on alto sax and bass clarinet. I can hear the way Futterman has incorporated a number of Dolphy's lines into his own runs. No small feat and it shows how deeply he has studied Dolphy's own approach to music making. Defiant, demanding and superbly executed. 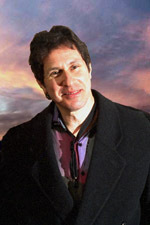 These recordings on joelfutterman.com are artistically produced with the highest quality of professional audio equipment available, from recording to duplication. 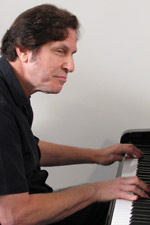 The primary recording engineer & producer, Dr. Benjamin Tomassetti (Doctor of Musical Arts, 1995) with 20 years experience recording in the jazz and classical musical idioms, views audio production as an art form.